Seconds from the University of Central Florida, and within driving distance to some of Orlando''''s main attractions, this hotel features a variety of modern amenities and facilities along with comfortable accommodations. 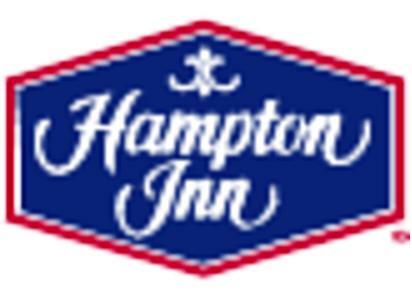 The Hampton Inn and Suites Orlando East UCF is situated adjacent to the Siemens/Westinghouse office complex. There are also a number of restaurants and shopping centers located within walking distance. Walt Disney World, SeaWorld and Universal Studios are also located a short drive away. Guests at the Orlando East UCF Hampton Inn can begin the morning with a free hot continental breakfast, or with an energizing workout in the state-of-the-art fitness center. After a long day, relax in the outdoor pool or hot tub.